Following O’Connell Nick Lascuola of Abington, MA also had a career best finish of second. “It helped me out starting up front by staying out of the carnage, we fell in line and paced ourselves early on because of that.” Lascuola said. Hudson Speedway claimed a few victims Sunday night as Bobby Cabral failed to make the feature, Barry Gray and Luke Hinkley also retired with significant damage. Looking for his first victory in a pro stock, Lascuola believes he’s “Right there.” He’ll have a chance to do so Saturday, July 28th at White Mountain Motorsports Park. 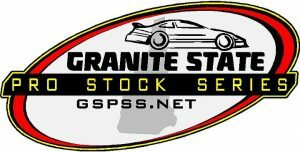 Our next event is on Saturday, July 28th at White Mountain Motorsports Park in North Woodstock, NH. Official results: Devin O’Connell, Nick Lascuola, Ray Christian III, Joey Doiron, Cory Casagrande, Jacob Dore, Derek Griffith, Todd Stone, Mike O’Sullivan, Tommy O’Sullivan, Josh King, Jimmy Renfrew Jr, Mike Scorzelli, Luke Hinkley, Wayne Helliwell Jr, Bill Antonellis, Bobby Cabral, Barry Gray.